The Moto X series isn’t what it used to be. 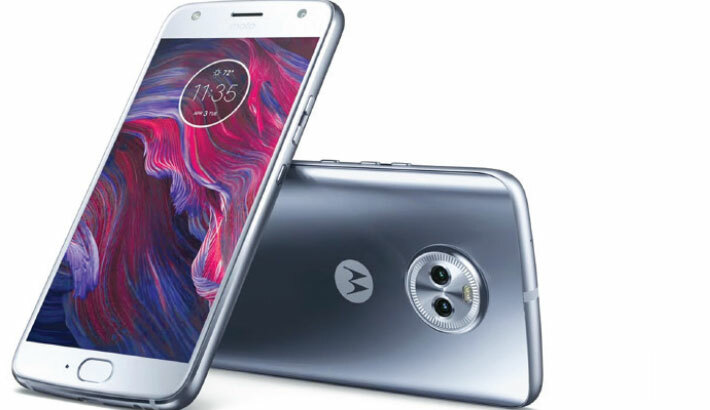 Since Lenovo’s acquisition of Motorola’s smartphone business, the once-high-end Moto X lineup has been demoted to a mid-range ranking, overtaken by the Z series as the Moto brand’s top smartphone selection. But this year’s Moto X4 has intrigued us nonetheless. In a nutshell, it is a mid-range handset with premium looks. While the Moto X4 steps down its price point from previous Moto X smartphones, the looks remain sharp. Opting for a metal-meets-glass body with a mirror finish and the familiar styling of Moto devices, the X4 looks distinct and sturdily built. At the back resides a large camera hump – a circular plateau of sorts – which houses the dual-camera, dual-flash setup. Up front, you have a 16 MP camera with its own flash and a fingerprint sensor below the 5.2-inch display. Aside from the light-yet-solid construction, IP68 water resistance puts the icing on the cake. This is a very welcome feature and a rarity in this price category. Utilizing LTPS (Low-Temperature PolySilicon LCD) IPS technology, this 1080p (1080x1920 pixels) screen looks good to the naked eye and gets pretty bright. Deep, vibrant colors may have you thinking it is an AMOLED display, even though it’s not. Colors actually appear more accurate on this display than on most AMOLEDs, but a lean towards the bluer end of the spectrum is revealed in deeper testing – a trait unlikely to cause much concern.